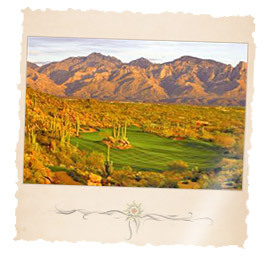 Oro Valley, Arizona golf real estate luxury homes from Stone Canyon. For Oro Valley Arizona luxury homes and Arizona golf real estate check out Stone Canyon Club located in beautiful Oro Valley, here you will find some of the best Arizona golf and Arizona luxury homes available. Nestled in the lush foothills and canyons of the Tortolita Mountain range lies Stone Canyon, one of the finest residential, recreational and private golf communities ever developed in Arizona. Their acre plus Arizona home sites are thoughtfully situated to take advantage of the panoramic views of the Tortolita and Santa Catalina Mountain ranges as well as the city lights of Oro Valley. To ensure the privacy of the Stone Canyon Community home owners, Stone Canyon is a gated community staffed with an attendant on duty 24 hours a day. The centerpiece of this community is The Stone Canyon Club and its spectacular 18-hole championship golf course designed by Jay Morrish. Designed to compliment the natural desert arroyos and dramatic rock outcroppings, this magnificent layout is already one of the best desert courses in the country. In addition to world class golf, there is a sports facility featuring tennis, swimming and fitness center. Encompassing nearly 1,400 acres, estate-sized Stone Canyon Community Arizona home sites have been planned to maximize the stunning views and an oasis of green created by the The Stone Canyon Club Arizona golf course. Stone Canyon has been thoughtfully planned in concert with the Arizona environment. Majestic, age-old saguaro cacti, arms raised in welcome to a cobalt-blue sky, dot the landscape. Massive outcroppings of rock are surrounded by yellow flowering brittlebush, purple verbena and Arizona desert lavender. Petroglyphs from ancient civilizations link the past to the present. The tools to begin your new Stone Canyon Arizona Community homes search are right at your fingertips! To get started, simply click on the quick link above or browse Arizona new construction homes and houses for sale using the links to the right. 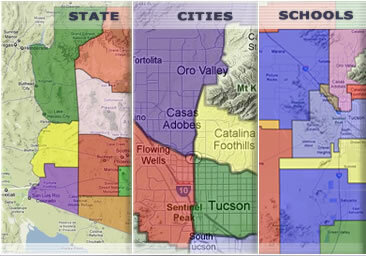 Find a new Stone Canyon Community home for sale or locate a home builder in Arizona on MyOwnArizona.com. Our MyOwnArizona™ Stone Canyon Community real estate guide showcases new construction homes, townhomes, condos and new Arizona communities by new home builders throughout the State of Arizona. Find new homes by map, desired home price or by browsing new developments and floor plans by lifestyle or home type. All home listings include home price, location and money saving incentive offers to make buying a new Stone Canyon Community home more affordable. All houses for sale listed include floor plans, pictures and many offer tours of the new homes and communities. 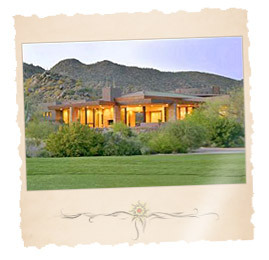 Contact us at: info@MyOwnArizona.com for Arizona & Stone Canyon Community Home Prices in Oro Valley, AZ real estate.